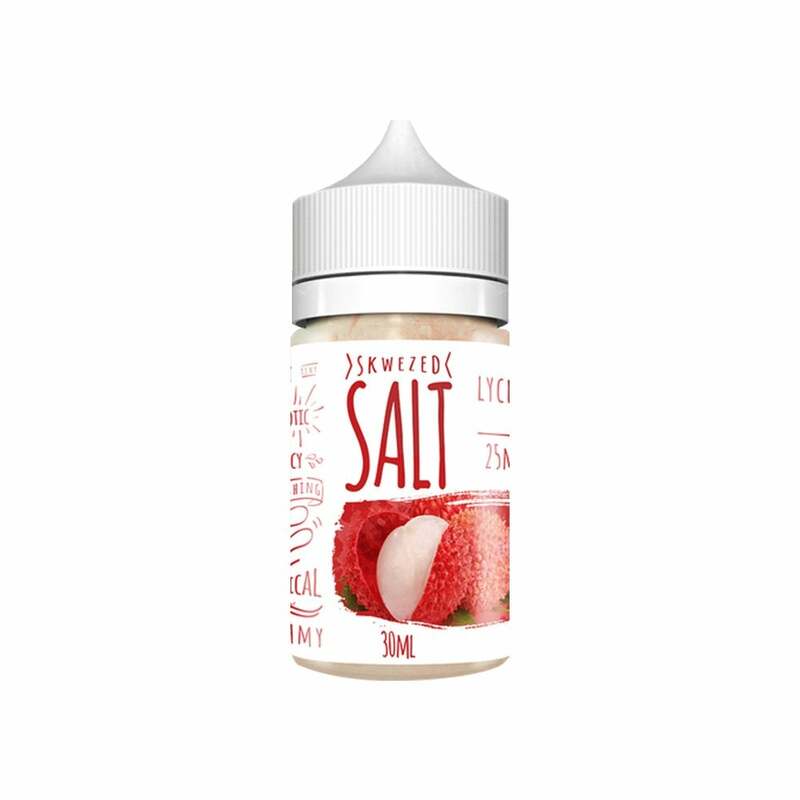 Skwezed has perfected the science behind creating pure and crisp flavors, and their Lychee Nic Salt is no exception. Pure and crisp, this nic salt tastes just like the fruit, while the nic salt formulation adds an extra level of satisfaction to every hit you take. Skwezed Lychee nic salts are available in 50mg (5.0% nicotine), and 25mg (2.5% nicotine) and are compatible with your favorite pod mod. Good flavor, not overly sweet, a little sour. Smooth! 5th April 2019 - N.
Great flavor of lychee and menthol is not too heavy.